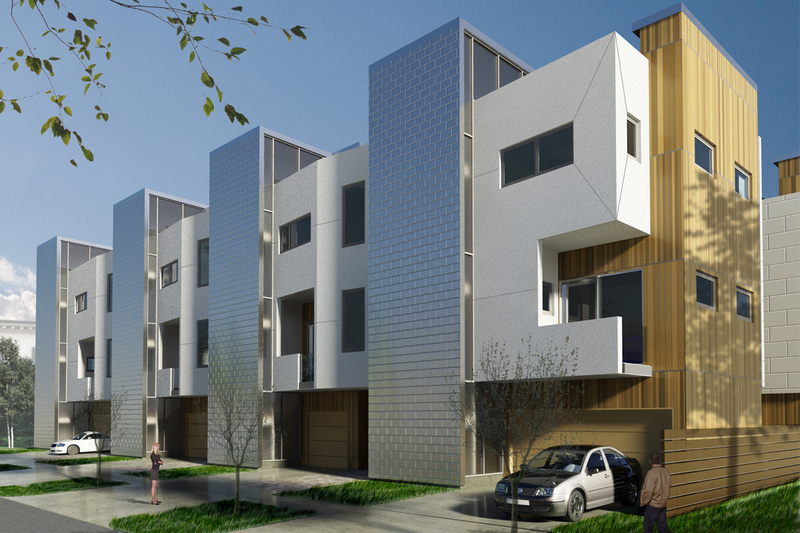 The Midtown Elevated is a new approach to a medium density townhouse development in Houston, Texas. A typical project of this magnitude can overwhelm the surrounding residences due to its size, scale, and mass. In addition, this type of building can create an impenetrable and daunting barrier along the block face. 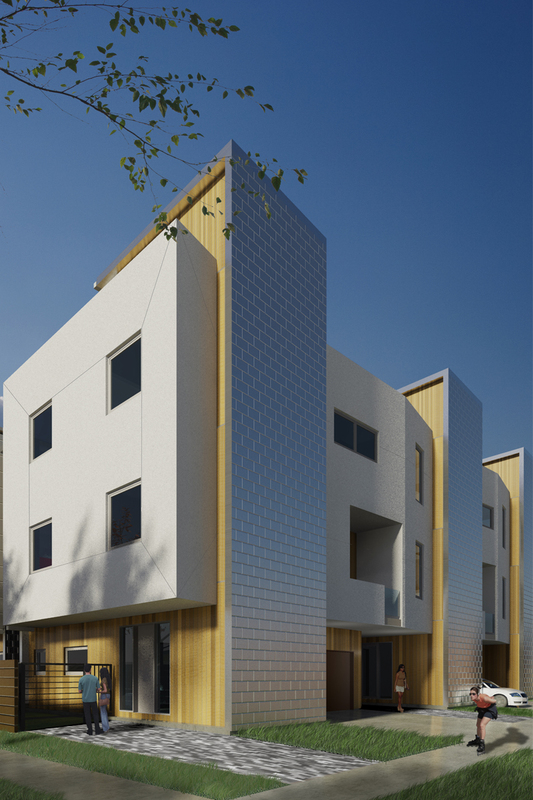 By contrast, this 10-unit project is sensitive to its environs and avoids becoming a solid massive block by being permeable at the pedestrian level. 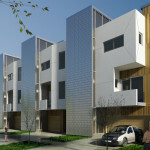 The majority of the living spaces are elevated to the 2nd and 3rd floors for the following design considerations: providing covered, pedestrian-friendly entry areas which double as carports; allowing greater airflow through the project to enhance the comfort and usability of the back yards; and increasing the privacy of the upper floors while still providing spectacular views into Houston’s tree canopy and urban landscape. The five unique unit layouts, which vary from large 2700 SF end units to smaller 2300 SF bachelor pads, share several design features. The 2nd floor spaces step up as they spiral around the stair/utility core, which is expressed externally as towers supporting the projects elevated bar volume. The footprint of the project splays apart toward the North of the site to open up a view corridor for windows and large outdoor roof decks. 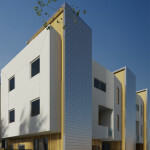 The design strategies employed at the Midtown Elevated set a new methodology for intelligently managing the increasing density of housing in Houston’s urban center.